It is almost as though it is a legend. I have heard about it from many people so far and was reminded of it last by Mr. Shashi Pandit, a panel member at the recently concluded Delhi Youth Summit on Climate 2010. There is no real written or documented evidence of it so to say, at least none that I have ever come across. And the very structure that was both the culprit and the victim, and must surely be a witness to it all, was brought down only a few months back. Luckily I did get to to see it twice before it was dismantled, without any prior notification to anyone, to know that it was for real. The Nehru Vihar Waste to Energy Plant, that was set up in North Delhi after purchasing everything from abroad (no names, for lack of a more rational Government) and installed in full glory to convert the waste of Delhi into electricity did NOT work properly for event a single day! Reason, figured after making all the payments to the seller country, Delhi’s waste does not have the required calorific value to burn and produce electricity. Legend has it that the seller country then got away with (in addition to the Indian tax payer’s money) saying it was never asked whether such a technology will work for Indian cities. In his speech at the PHD Chamber, on the occasion of World Environment Day, an event we (perhaps) missed to cover in Delhi’s WED 2010 style, Mayor P. K. Sawhney announced at least two such waste to energy plants in the coming. Last week, Delhi CM Shiela Dixit laid the foundation stone of the first-of-its-kind Rs. 200 crore plant at Okhla for not just treating 1950 metric tonnes of solid waste each day but also generating 16 MW power from it in an environment-friendly manner. As has been the trend lately, the project has already registered itself with the United Nations Framework Convention on Climate Change (UNFCCC) and is on its way to earn some Carbon credits! The Chief Minister was quoted saying that the Plant will not only generate clean power but will also help dispose of more than 25 percent of the 7,000 tonnes of municipal solid waste generated daily. Reports also suggest that the launch saw opposition from local residents who raised issues about the health impact of the gases released from the incinerator after burning the waste. Previously, emails and comments from citizens have explicitly suggested that the waste segregation scheme of the Government has not been able to work as planned. Decentralized measures have rarely been tried and reduction at source has been targeted mainly for polythene. Interestingly enough, no adequate measures have been taken for methane recovery from any of the landfills so far, even when this could mean both free energy and carbon credits. 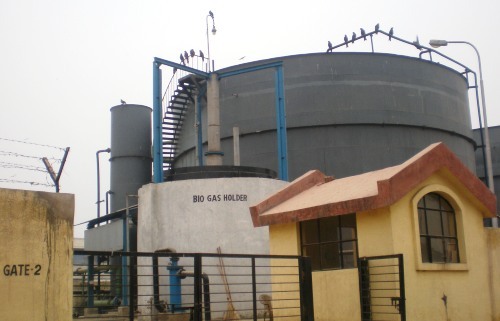 The Biogas holder at the Ghazipur landfill, which was also a site for the second Delhi Greens Urban Ecotour, was not working in any of our trips later as well. Not only is this is a viable option but the technology for this already exists in the city. In any case, it remains to be seen how well such a plant(s) perform this time around. It will surely be a comparative study as well as an interesting project to follow. Thank you Mr./Ms. Taxpayer! I was curious to learn about this incinerator when I saw the press coverage. Our current leadership likes to claim that everything they do is “green” but all that sparkles is not silver to mix my metaphors. Thanks for throwing some light on this issue. A World Bank deal happened to take place with Latvia, as part of the Liepaja Solid Waste Management Project ….. in generating electricity for Latvia’s power grid. I am not sure what happened, but probably it worked. Well things have been grey, with no real clarity between the black and the white with a lot of recent initiatives and launches from the administration. I just had a word with a senior member in the Govt. to learn that the there would be technological fixes to make sure the plant actually runs this time. Still watching how things progress. World Bank does approve of the waste to energy project for when the waste material is right, it does work and is perhaps an option to be considered provided due care is taken at the segregation stage. govind singh i would like to know the feasibility of waste to electiricity project by concord blue company and as company says it not at all leave any waste in gas or solid form. is it really possible? DOES THAT MEAN THAT WASTE TO ENERGY PROJECT IS A FAILURE IN INDIA? OR THAT THERE NEEDS TO BE FURTHER STUDY AND MODIFICATION TO SUIT INDIAN NEEDS? THE FUNDAMENTALS SOUND REAL GOOD SO LET US NOT MAKE THIS A WRITE OFF! @Pradip Maheshwari: It is technically possible to leave no waste in solid form, especially since the idea is to burn all the waste. It is not possible to have no gasesous waste. However, what can be done is to neutralize the gas under water or other fluids such that no poisonous gases remain. In my understanding, it is not possible to rule out the emission of CO2 and even CO despite any measure being put..sine it violates the very laws of thermodynamics. @Jatin Dhanawat: One of the first waste to energy project implemented in Nehru Vihar in North Delhi was a failure. It did not work for a single day and the foreign agency who installed it washed its hands saying it was not aware that Indian waste has such low calorific value. Unfortunately, as it is true for everything else, we do not research well enough before installing or implementing any technology..but the experiment and research is carried during (and after) the technology is being/ has been installed. We have had a dirty habit of learning the hard way..which is the greatest tragedy..both for the environment and the tax payer.